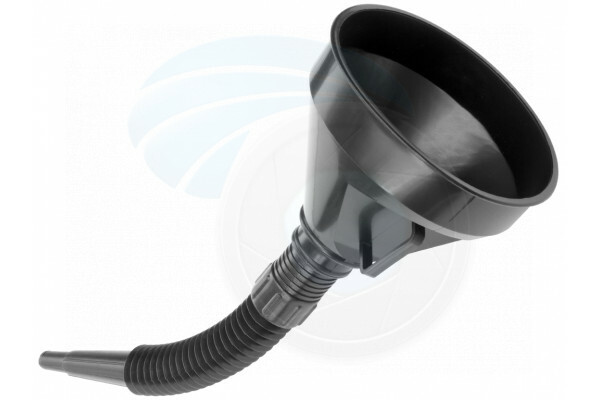 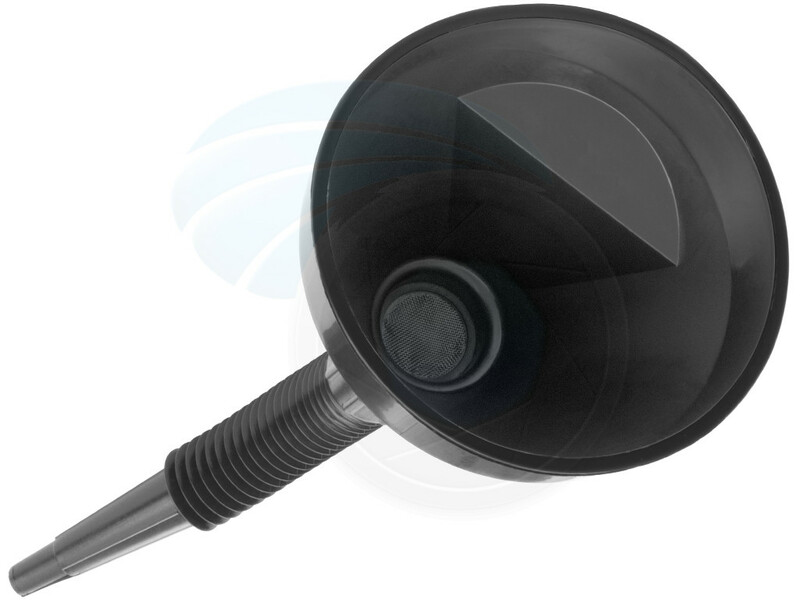 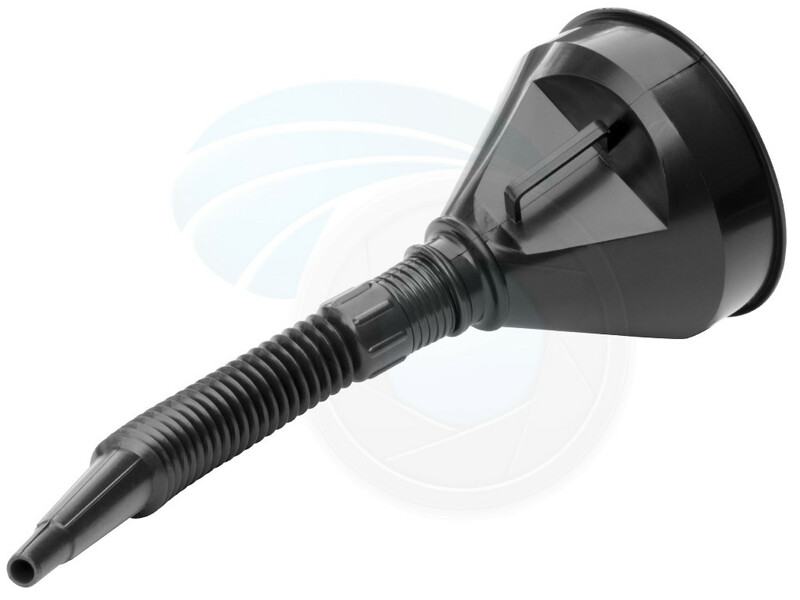 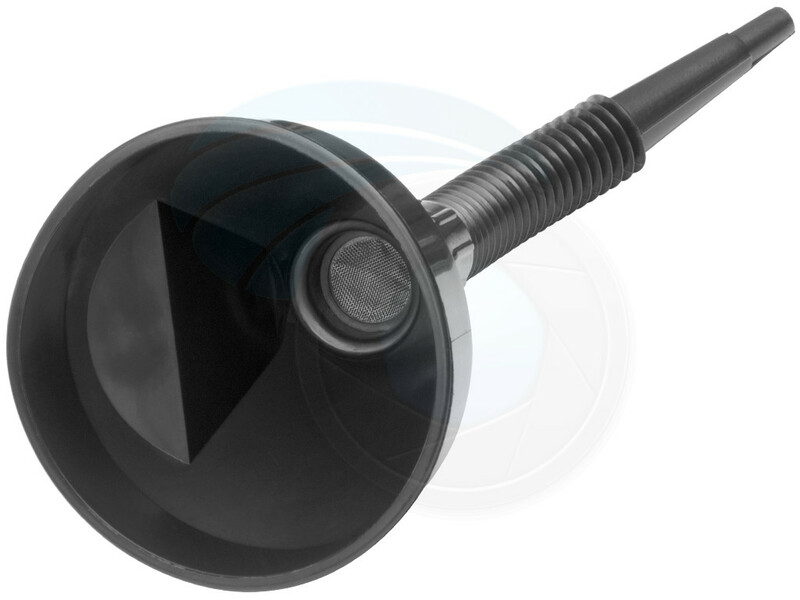 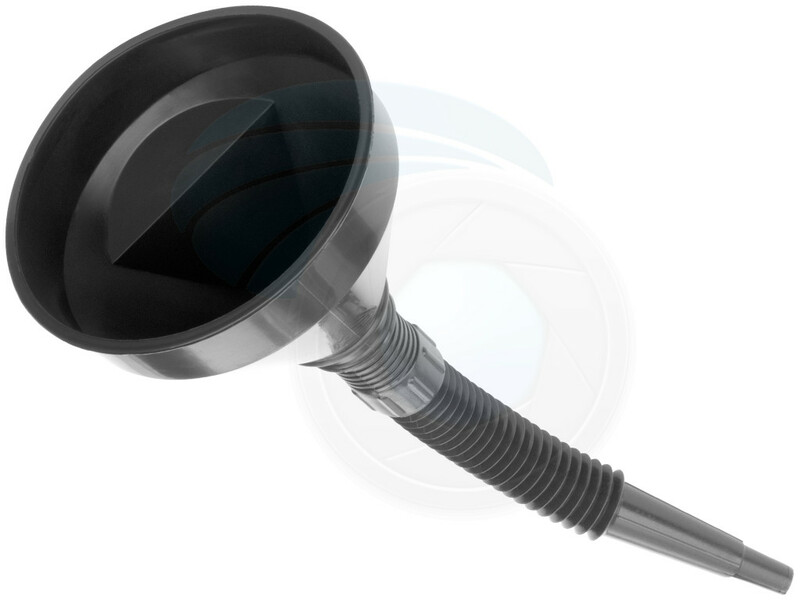 The funnel with flexible extension is used for engine oil, coolant, gasoline, kerosene and other fluids. 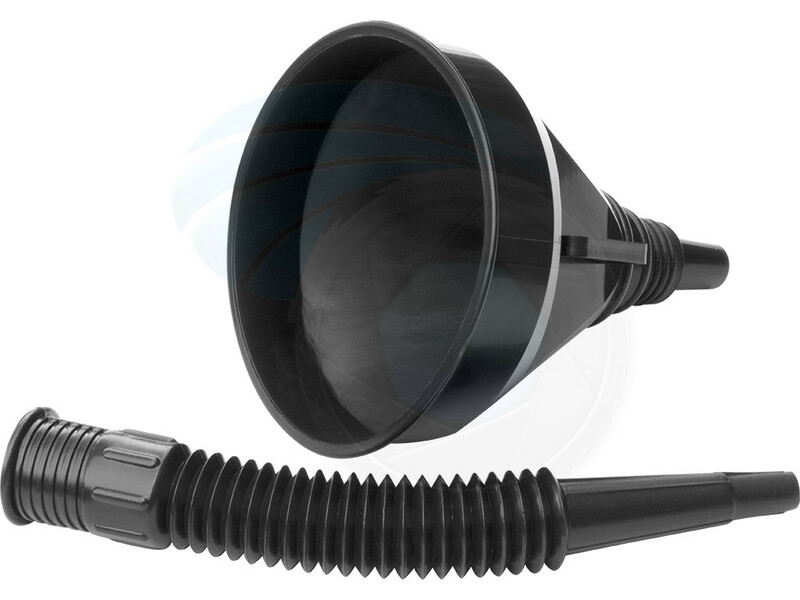 It is made of a chemical-resistant polyethylene with a removable flexible extension to adjust the flow of liquid, if desired. 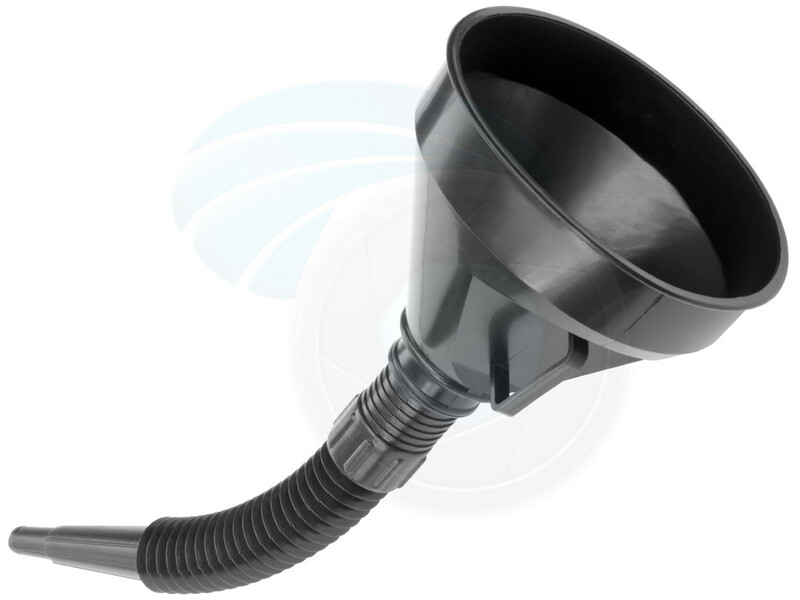 The funnel features a mesh screen which filters out damaging particles. 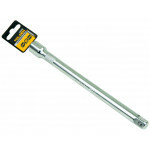 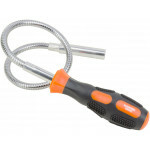 The side mounted handle allows secure grip.